Beep! Chime! Ding! Ring! Ping! Recognize those sounds? They’re alerting you to new messages, from “You’ve Got Mail” to smartphone calls or texts and read-me-now push notifications from your various social media accounts or favorite apps. We are bombarded with notifications all the time. They’ve become a part of our daily lives. And however distracting they might be, they serve their purpose. It’s up to us to find a way to manage them in a way that boosts our productivity and makes our job—and life—easier. Like, for instance, imagine an alert notifying you that one of your business vehicles has just been involved in an accident. Or one that tells you that a vehicle has traveled out of a defined geographic parameter (in other words, “Your driver is waaaay off-course!”). Or perhaps a notification informing you that it’s time for an oil change. 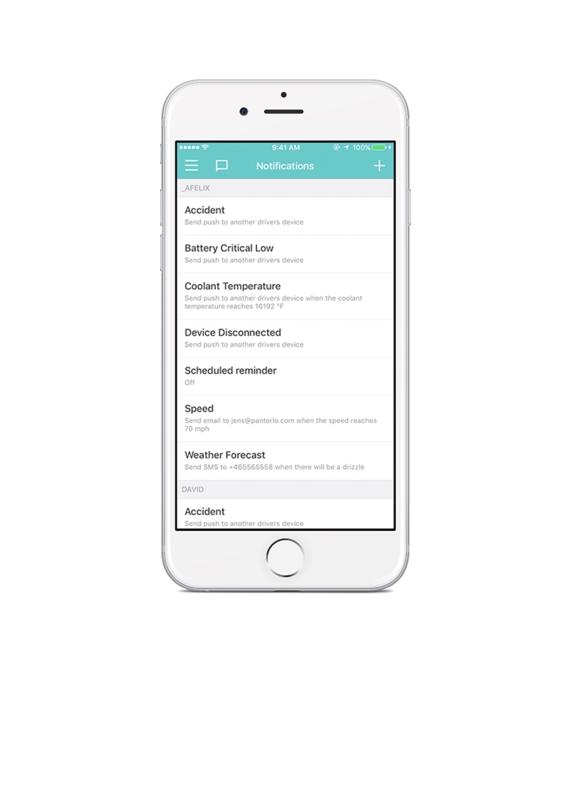 Alerts like these enable you to ACT NOW, ensuring the health and safety of drivers and customers, recovering wayward or stolen vehicles, or mitigating wear-and-tear risks. But before we can accept these actionable, real-time notifications into our day, we have to break through the noise. Automile’s field services customers can easily customize instant and timely alerts for a number of vehicle events to aid in both damage control and day-to-day decision-making. And—what’s more—they can choose HOW they receive notifications: via Email, SMS, HTTPpost, Mobile Push, or Automile Inbox. How’s that for flexibility? Wouldn’t you love to receive notifications like these, in custom combination, to help you manage your business vehicles? We thought so. Start your 30-day free trial today!